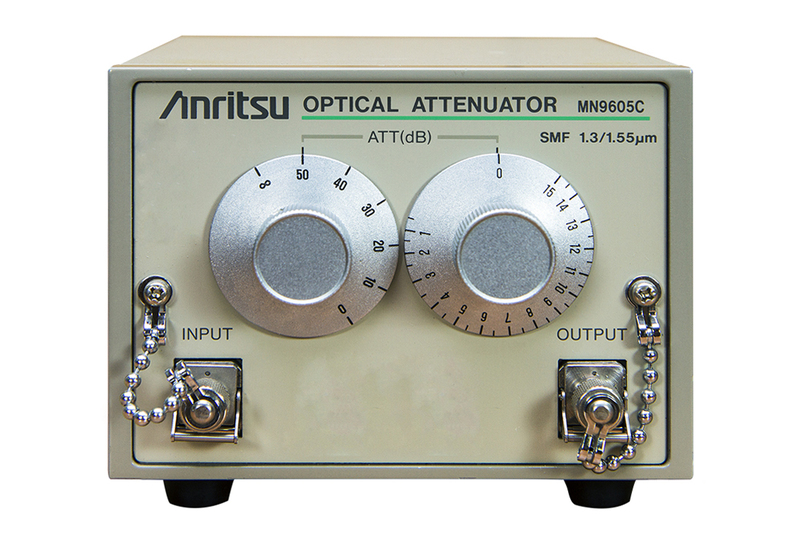 The MN938A can set attenuation in a range of 0 to 60 dB in 0.1 dB steps. Two wavelengths can be selected. 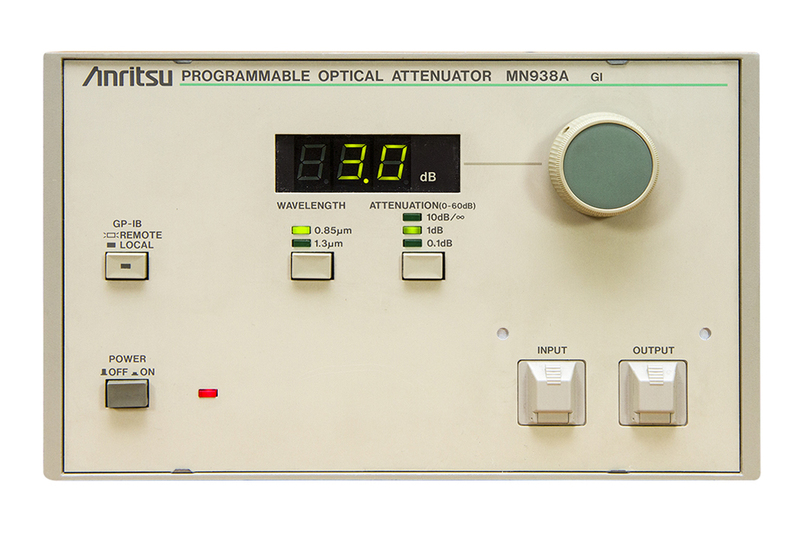 As the MN938A is provided with GPIB as standard, it can be used in a variety of automatic measuring systems for development, production, and inspection. 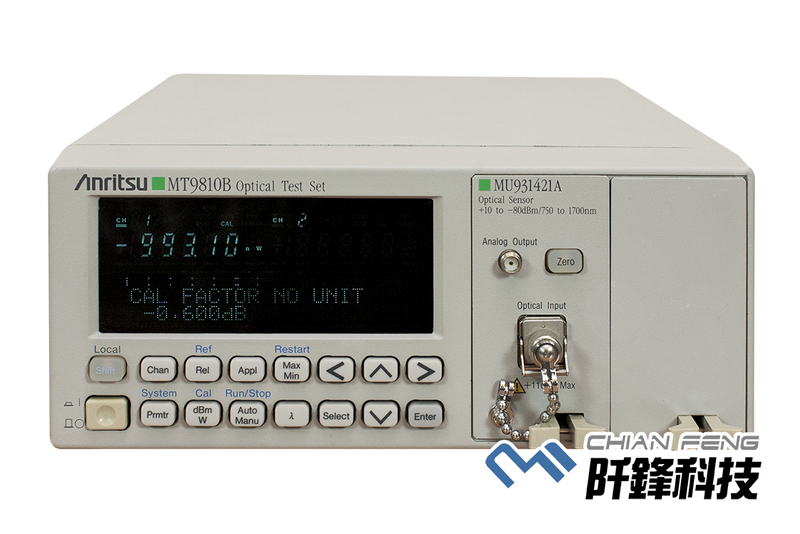 The MS9780A is a diffraction-grating spectrum analyzer for analyzing optical spectra in the 600 to 1750 nm wavelength band. Its input section has been redesigned to support fibers with core diameters of 50/62.5 um. 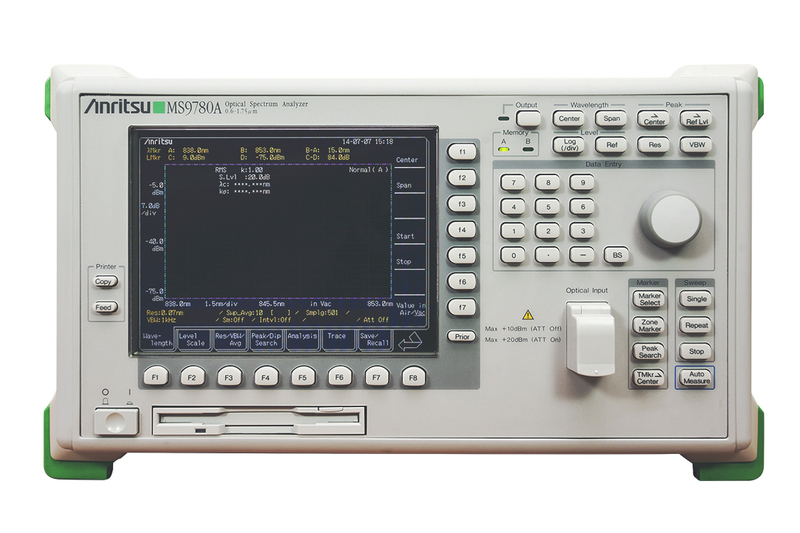 The MT9810B provides high-accuracy and high-reliability evaluation of a wide range of optical devices and optical systems.